Gardman r891 20" wall basket manger shaped coco liner. Pre-Molded long lasting natural coco fiber with latex coating. 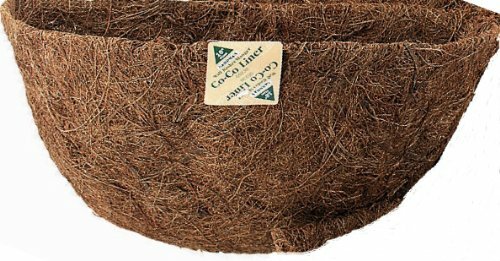 20" long x 7" wide x 7" deep manger shaped coco fiber liner is ideal for use with decorative planters. Coco liners retain moisture to help prevent your plant roots from drying out and provide for fewer watering's.